La Société Nationale de l’Acadie (SNA) est fière de souligner Acadian Day. d’un environnement hostile à la pérennité de la langue, de la culture et de l’identité acadiennes. millions de compatriotes pour qui la résilience est un trait fondamental de l’héritage commun. Louisiane et représente, à ce titre, une reconnaissance officielle inégalée dans toute la diaspora. de l’autodétermination politique et de la démocratie américaine. progrès accomplis au cours des dernières décennies pour y revitaliser la culture et le fait français. déploiement sans précédent de l’identité acadienne, de la langue française et de la culture cajun. réunira l’Acadie louisianaise avec l’ensemble de la diaspora pour une sixième fois depuis 1994.
patrimoine culturel de l’Acadie, de la francophonie et de l’Amérique du Nord. The Société Nationale de l’Acadie (SNA) is proud to recognize Acadian Day in Louisiana. Celebrated in Louisiana on November 24th this year, this day invites us to commemorate the history of Louisiana’s Acadian community. From the exile of the Grand Dérangement to the new dawn of the last half-century, Acadian Day recognizes the Acadians’ taking root in an unknown world and the incalculable trials and tribulations they underwent in an environment which was hostile to the survival of the Acadian language, culture, and identity. The inspiring story of the Acadians and the effervescence of Cajun culture have something to inspire our million compatriots for whom resilience is a fundamental feature of our common heritage. 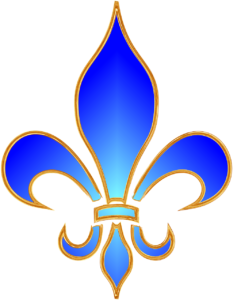 Louisiana and, as such, represents an official recognition unequaled in the entire Acadian diaspora. Acadia (Nova Scotia) was ceded by France to England in 1713. It acknowledges that a significant proportion of the Louisiana’s initial economic and political development is directly attributable to the work of the Acadian people. In addition to the Acadian contribution to the evolution of Louisiana society, it is important to appreciate the progress made in recent decades to revitalize Cajun culture and the French fact. The Conseil pour le développement du français en Louisiane (CODOFIL), created in 1968, remains at the forefront of this renewal, which can be observed in particular through the designation of a region of 22 parishes as Acadiana, the adoption of the Acadian flag in 1974, and the creation of Acadian community programs, elementary school French immersion and university programs as well as a remarkable boost in French-speaking citizens’ cultural and scientific production. Louisiana is now home to an unprecedented flowering of Acadian identity, the French language, and Cajun culture. The future is therefore promising. 2018 will mark the fiftieth anniversary of CODOFIL. Also, in August 2019, Prince Edward Island and New Brunswick, will host the Congrès mondial acadien, which will bring Louisiana’s Acadian community together with the entire Acadian diaspora for the sixth time since 1994.
recognize Louisiana’s Acadian community, its vitality and its rich contribution to the development of the cultural heritage of Acadia, the French-speaking world, and North America.